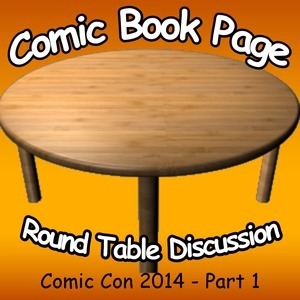 John Mayo, of ComicBookPage, and Kay Kellam, of PopArtsPlace, talk about their adventures at Comic-Con International 2014 in this first part of a two-part discussion. 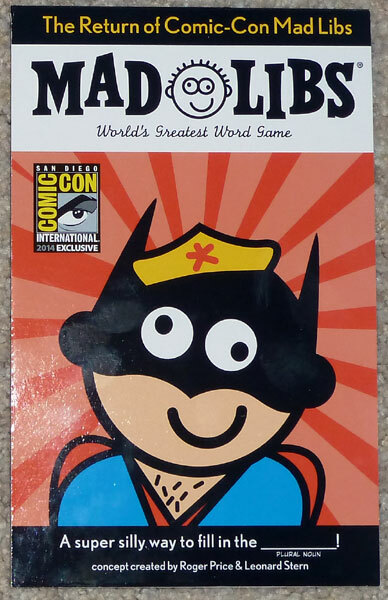 This entry was posted in Convention, Podcast, Podcasts and tagged CCI, Comic-Con International, John Mayo, San Diego Comic-Con, SDCC on July 30, 2014 by Kay. A stroll through the Legendary Booth at San Diego’s Comic-Con International 2014 was a fast-paced and enjoyable trip into a realm that, for a brief moment, made you feel as if you had actually stepped into another place entirely. 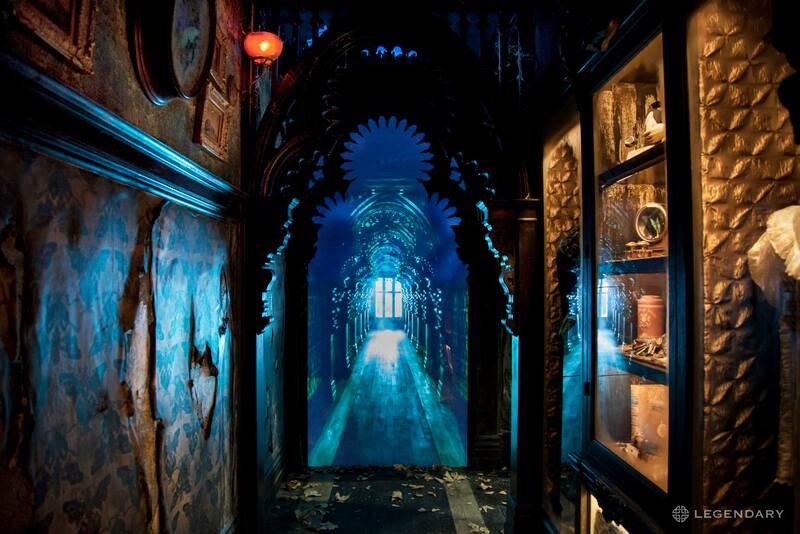 The props and atmosphere of the Crimson Peake exhibit was so complete that as the curtain fell shut behind you, sounds of the hall floor were muffled and the small group I stood with fell silent as they simply absorbed their new environment. While it was obvious this was not some happy-go-lucky film, there was nothing disgusting or jarring about the exhibit… instead it was full of character, delight and intrigue, pulling you into another world and enticing its visitors to stay a while in this oasis from a bustling hall floor. When some people behind them were done looking around and wanted to leave, the people by the exit were disappointed, sighing and bemoaning the fact it was time to step away from all the wonderful eye-candy, and return to reality. Year after year, part of why I so enjoy going to San Diego’s Comic-Con International is the creativity of the booths, the attention to detail, the fact that you never know what is waiting for you on the next aisle. The chance to pilot a Jaeger from Pacific Rim, to be greenscreened into the prisoner line-up from Guardians of the Galaxy, to step into an Alien Egg, or the Falling Skies Cocoon. From one year to the next it can be impossible to predict what wonders await attendees. 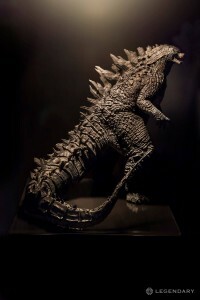 This entry was posted in Convention, Movie and tagged Alien, CCI, Comic-Con International, Crimson Peake, Falling Skies, Godzilla, Jaeger, Pacific Rim, PopArtsPlace, San Diego Comic-Con, SDCC on July 29, 2014 by Kay. The Booth on the exhibit hall floor at San Diego’s Comic-Con International for the SyFy show Haven was small, but fantastic. 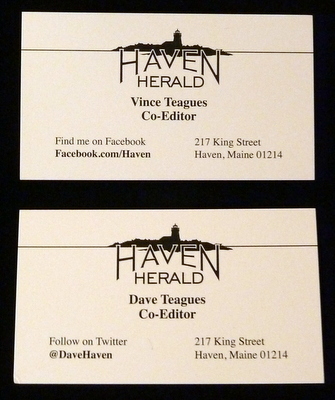 One example is this small little give away, at first glance you might have thought the guys working the booth had their business cards lying out — but wait, they were for Dave and Vince, the brothers who operate the Haven Herald on the show. 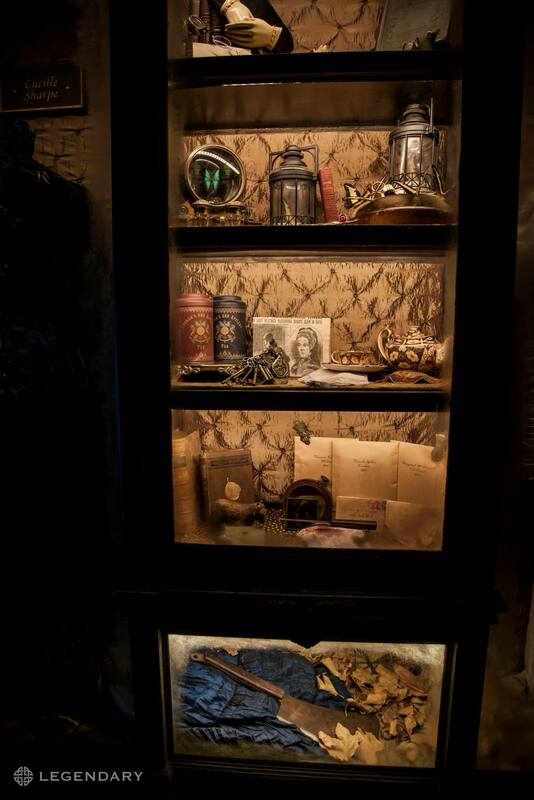 And in the display case beneath the boxes of DVDs were props from the show — the letter Duke sent from the past to Audrey letting her know what had happened to him being just one example. It was a bit startling to have fans, so enthusiastic about the show, yell at you from the far end of the booth, “hey, you, girl getting a Haven poster, did you go to the panel last year? 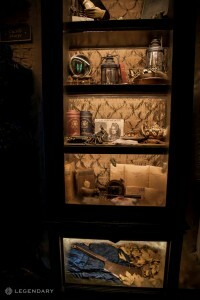 ?” I was so jarred by the abrupt yelling I might have said anything to get a bit of space, as I was caught up in the poster, the brother’s business cards, and processing all the cool props I had just read, and realizing how many of them I could place back to the episodes I had seen them in. Some of the props had been general business cards and driver’s licenses, but others were keyed to very specific episodes, and like Duke’s letter, were iconic and brought back a rush of memories of scenes and plot points. Four seasons of Haven have aired thus far, with a fifth eagerly anticipated by fans who saw a major turn of events in the fourth season as the status quo was reset and questions that were set forth in the pilot began to be answered. If you have not yet seen this show, based on the Stephen King story The Colorado Kid, it’s time to tune in and start catching up. Season five looks like it will be explosive in the best possible ways. This entry was posted in Convention, Television and tagged Audrey, CCI, Colorado Kid, Comic-Con International, Dave, Duke, eOne, Haven, Haven Herald, PopArtsPlace, San Diego Comic-Con, SDCC, Stephen King, SyFy, Vince on July 28, 2014 by Kay.